With arguably more cover bands per capita than just about anywhere in the country, making a name for yourself in the convoluted music scene of Northern California is no small feat. It’s also not something Sona Lofaro takes for granted. When many musicians over 40 seem to be happy just having a good time doing the tribute band thing, Lofaro and her namesake band SONA are the exception. Still relatively unknown with the current line-up, Sona wants audiences to feel the passion in which each song is delivered. 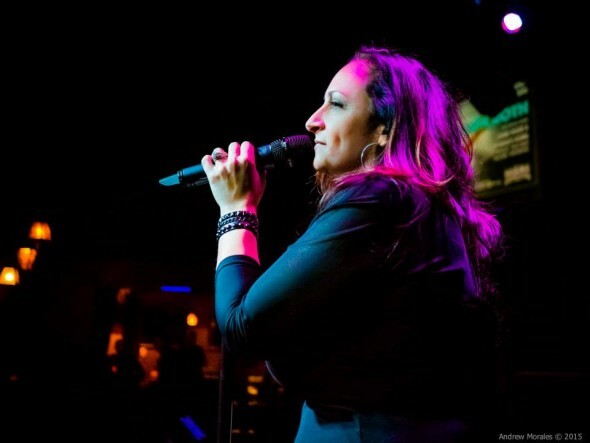 With their own special edge and the power in her voice, SONA breathes new life into your favorite classic rock and pop songs of the 70’s to present day. Audiences feel like they are hearing these songs for the first time all over again. Born in Oakland California in October of 1972, her parents placed her in everything from sports (including soccer, volleyball, gymnastics, swimming, ice skating) to dance (including ballet, tap, street dancing/jazz) to music. “They always let me explore things I loved to do. Unfortunately, the finances couldn’t keep up with it. My true love was music, therefore it was the obvious choice to make,” says Lofaro. When her mother sat her down in front of the family piano at age 2, it was clear she not only had a passion for music, but the ear for it as well. Only classical music was allowed in the family home throughout her childhood, aside from some traditional Armenian and Greek music. “I would sneak the AM radio and ear phones under the covers at night, to listen to Rock, Motown and Pop on local radio station KFRC” Sona remembers. “I was a closet singer for much of my teen years and then gradually I started to sing publicly during my 20’s.” She recalls receiving vinyl records from her older cousins spanning many different genres, from artists such as Led Zeppelin, Rainbow, Journey, Bill Withers, Aretha Franklin, Jim Croce and BB King. “My taste in music is vast because of this”. After many years of trying to put her own project together, “There was talent, but I had given up on finding individuals with like minds. It was very frustrating.” says Lofaro. “It became more of the tail-wagging-the-dog with each band I started, and I had let it go for quite some time.” Sona recalls. The first to join was bassist Eric Martin, having answered a “last ditch effort” Craigslist ad Sona had placed in 2012. They quickly realized they shared the same vision and work ethic. “I don’t think I finished reading his email response before my fingers responded with ‘When can you talk?’” Guitarist Brendan Whelan was next to join, also answering the Craigslist ad in 2012. They went through a couple of different drummers before meeting Dennis Gast, who Lofaro said, “just clicked with us.” Guitarist Matt Leyes was the final piece to the SONA puzzle in 2014. “I never wanted to call the band ‘SONA’ but it has really become our brand, so to speak. I’ve lived in many different parts of the Bay Area and folks I hadn’t seen in years have shown up to gigs due to the name alone,” says Lofaro. The name stuck, and the band has steadily built a loyal following in the Bay Area over the past 4 years. If you ask anyone who has attended a SONA performance, from the music lover to the seasoned veteran musician, they will all tell you the same thing – no one can handle the male lead vocal songs as well as Sona Lofaro. 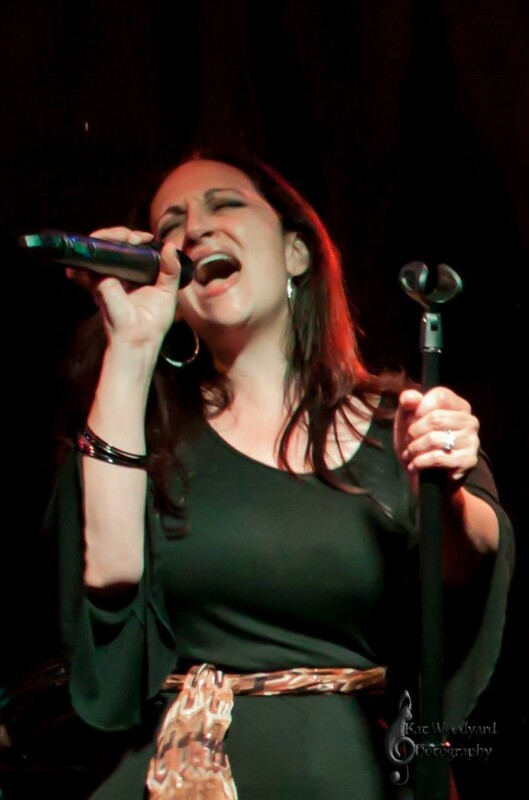 “I have been in the music business for over 40 years and as owner/operator of Annex Studios in San Lorenzo, California, I have seen many bands come through my place and I have never heard a band like SONA. There isn’t anything this band cannot play. They are polished, professional and a joy to work with and listen to.” – Keith Bellino – Owner/Operator Annex Studios, San Lorenzo CA. “Thank you so much for such an Awesome Show, as Always!! I love you, We love you here and the crowd loves you here!! Can’t wait to have you back!!! Absolutely Brilliant! !” – Susan Cramer – Owner/Operator Rockbar Theater, San Jose CA.